So, when I had the chance to take a road trip from Santa Cruz back up to Portland, I knew I had to include Bend in my travels. 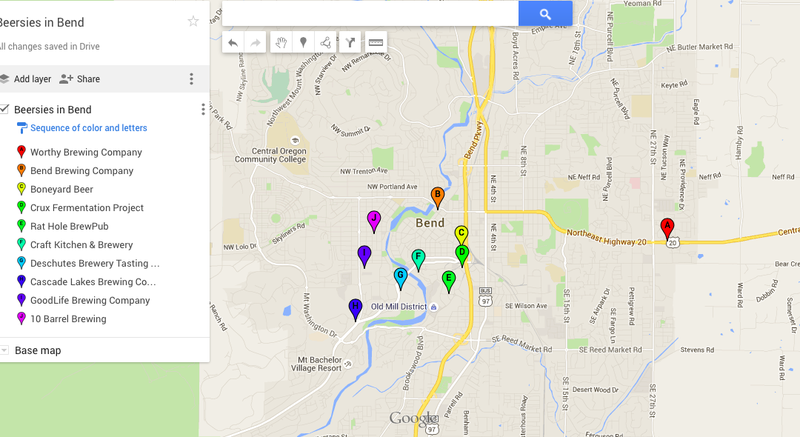 Last time I checked, the greater Bend area has about 28 different breweries, although there may be another one or two that have popped up in the last month. You never know these days! This is pretty impressive with how much smaller Bend is than Portland, with a population of 81,000 vs. Portland’s 609,400. 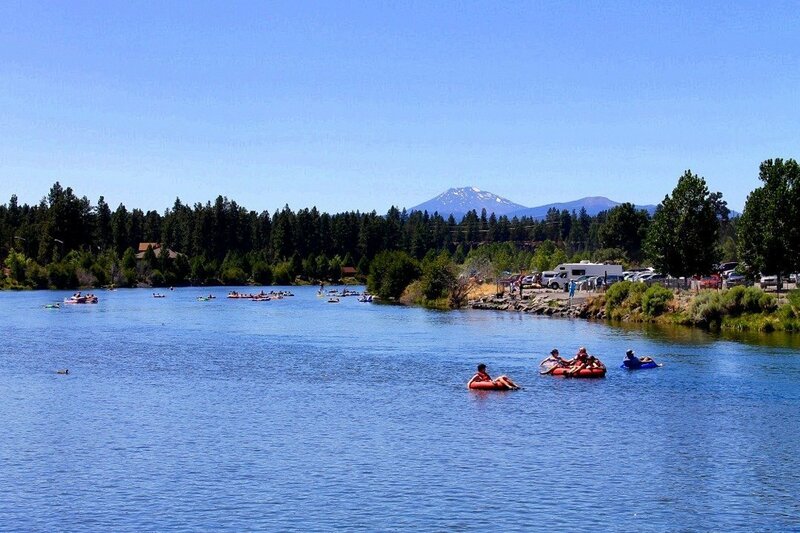 Bend is located in Eastern Oregon, surrounded by an abundance of national forests and mountainscapes. It is the perfect spot for those who love kayaking, SUP, hiking, and camping. 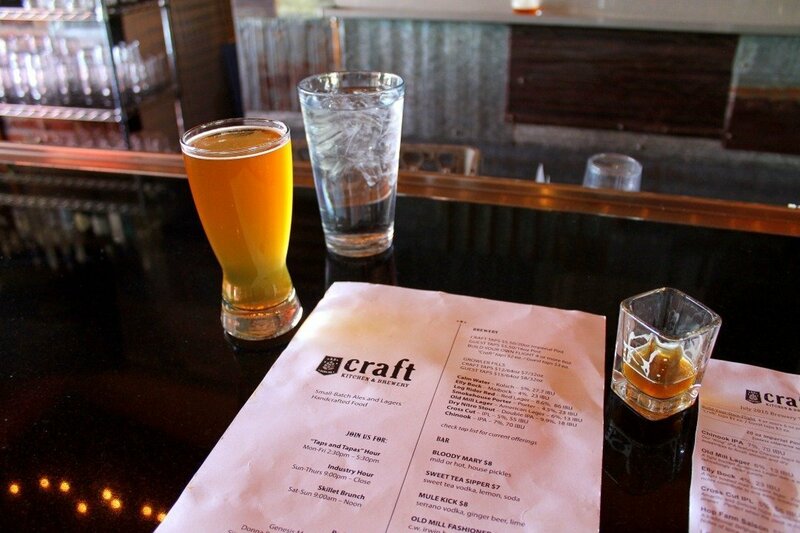 It’s also a great place for craft beer because of how great the water quality is. 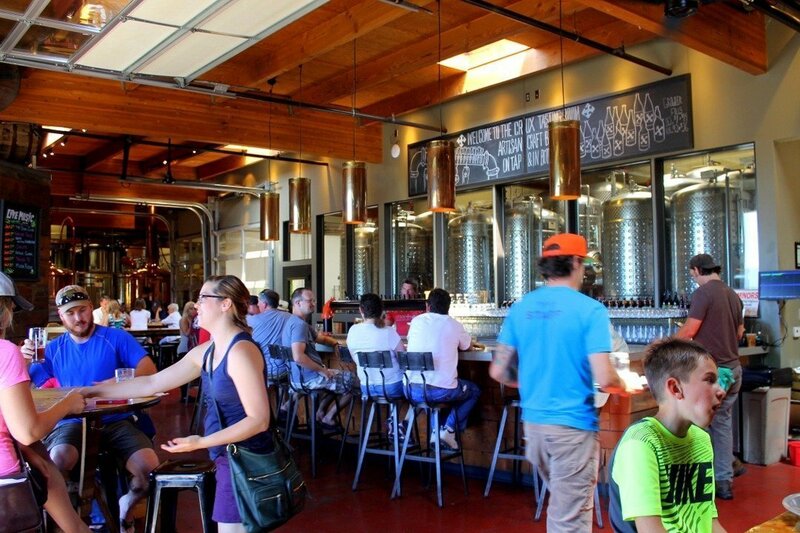 It’s where a few of the now big-name breweries in Portland come from originally, such as Deschutes and 10 Barrel. I was only in town for 2 nights and 3 days and I managed to visit 8 breweries. Not gonna lie, I was pretty proud of this fact. 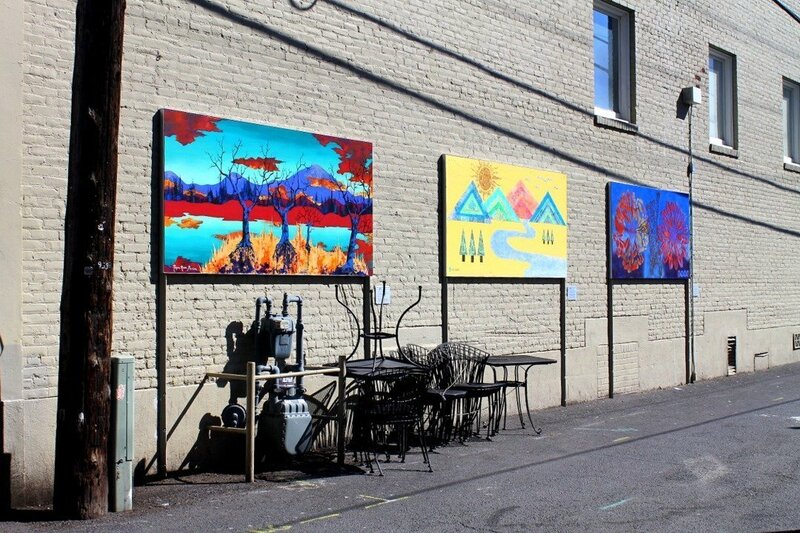 Since there are so many breweries in Bend, I wanted to give you an idea of what they’re like, which ones to visit, and which ones to pass by if you don’t have a whole lot of time. 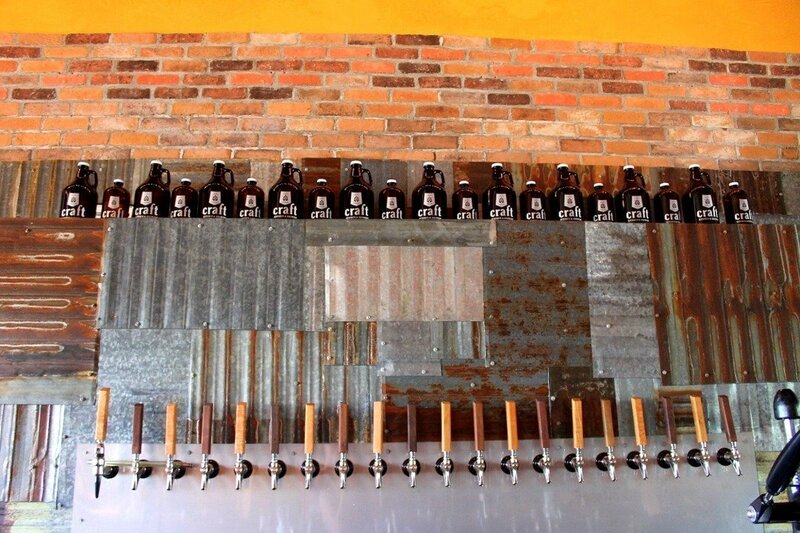 The following are all breweries that are in town and had some of the highest recommendations from locals. 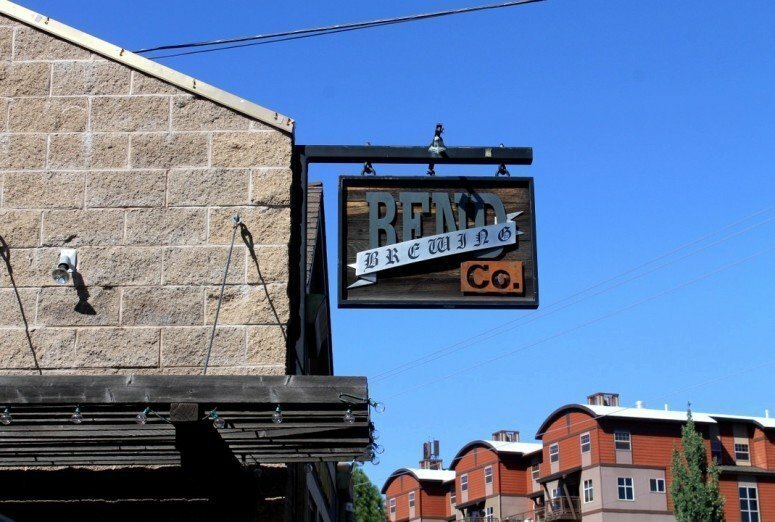 My first stop in Bend and I landed at Bend Brewing Co. After a long journey from Ashland that morning in a hot car, there was nothing better than ordering a big plate of their nachos and sipping on a seasonal sour. 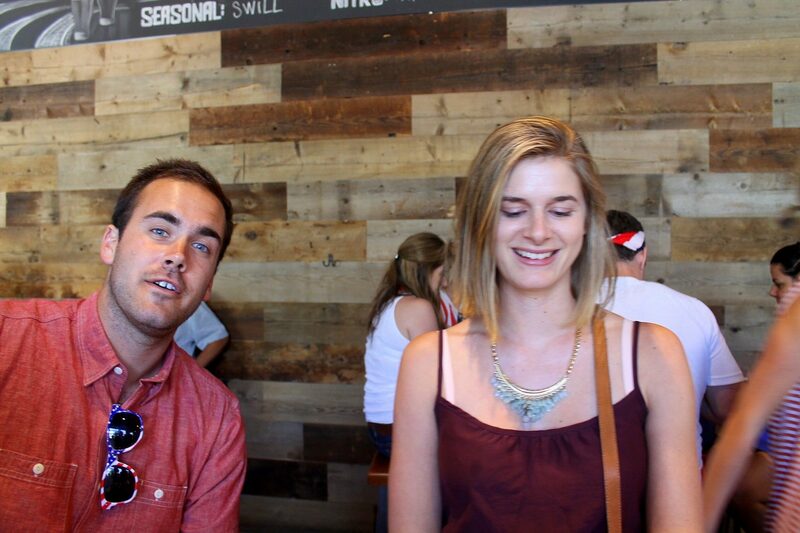 The service was friendly, laid-back, and the space would be good for a large group. It’s also right along the river if you choose to sit with a view. Although some locals gave this brewery a hit or miss, I enjoyed my time there and the beer I tried. I wouldn’t say it’s the best brewery I went to, but it’s definitely better than a couple of others I tried. 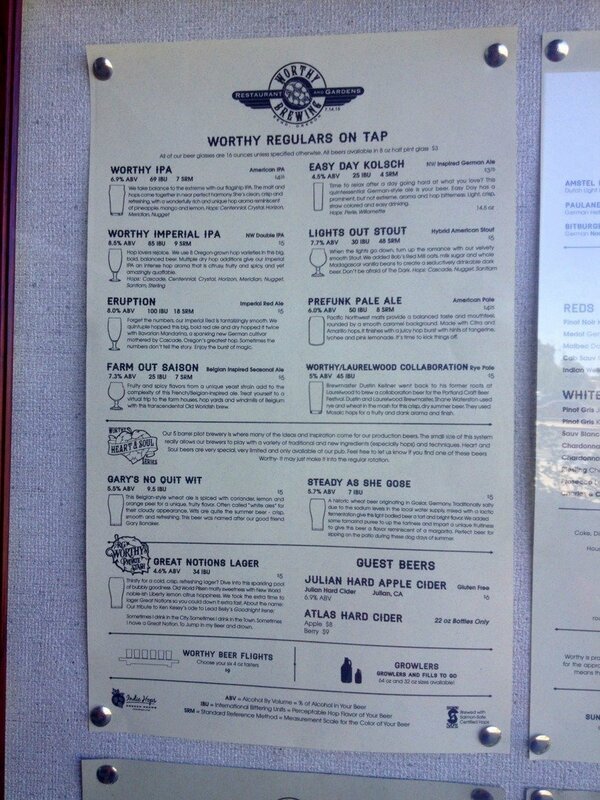 Worthy Brewing was the first brewery I went to my second day in Bend. It’s a little ways outside downtown, maybe a 10 minute drive or so. I would put Worthy in the same category as Bend Brewing Co. in terms of the gastropub atmosphere, but I liked Bend Brewing Co.’s beer and unique styles just a tad better. 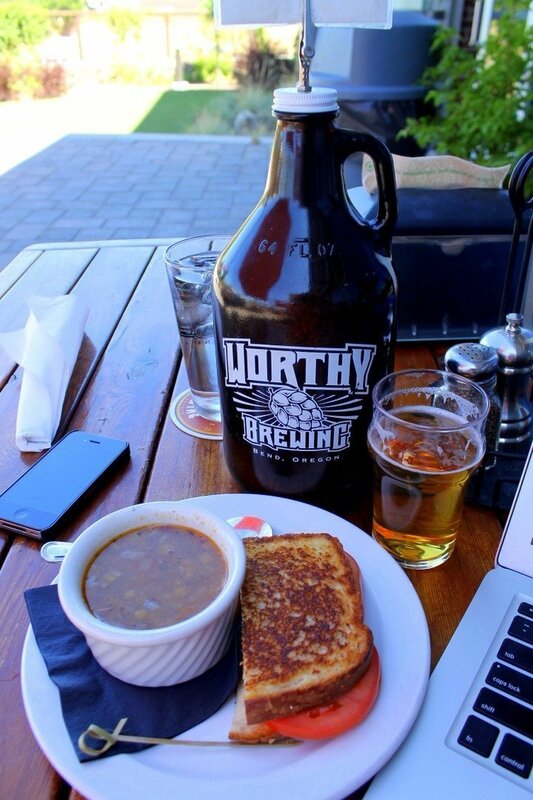 Worthy Brewing has a nice outdoor patio area and friendly service. They happily gave me free tasters when I was trying to decide between a couple of different beers – and they were very generous tasters. 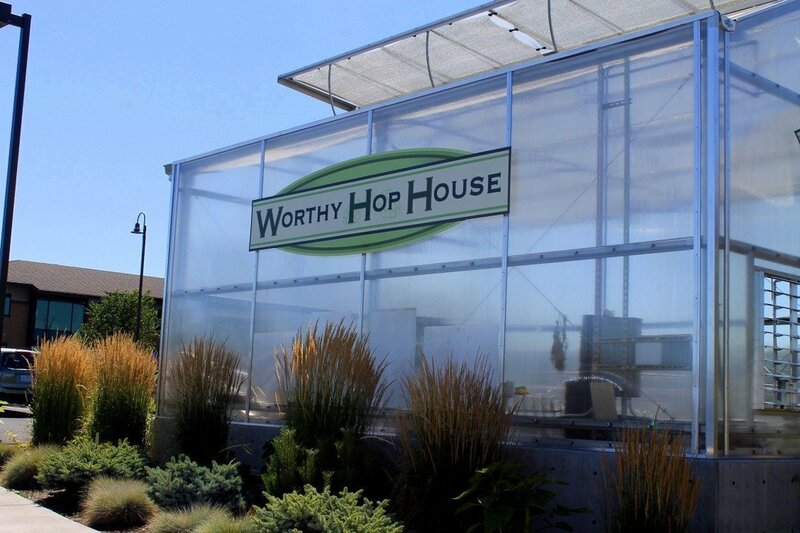 What I really liked about Worthy Brewing is there sustainability and green mentality. 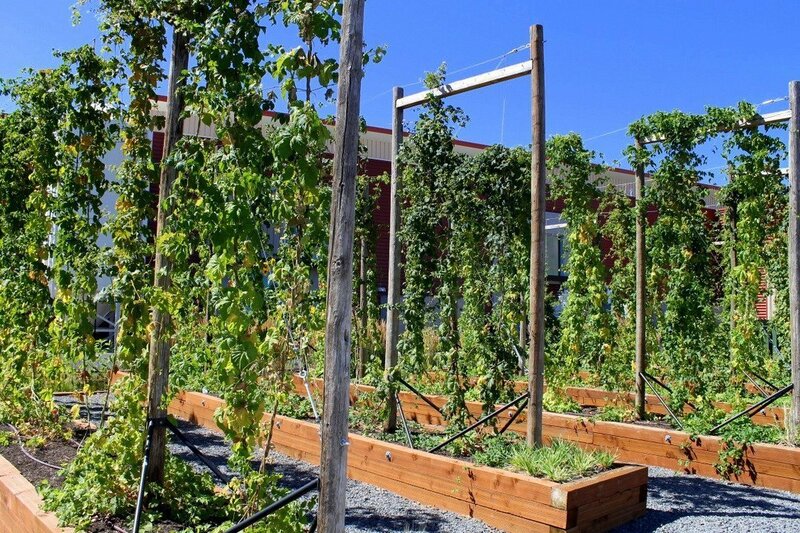 They use reclaimed Cuckoo wood furniture, take advantage of composting and solar panels, and use Salmon Safe hops in their beers. Very cool. 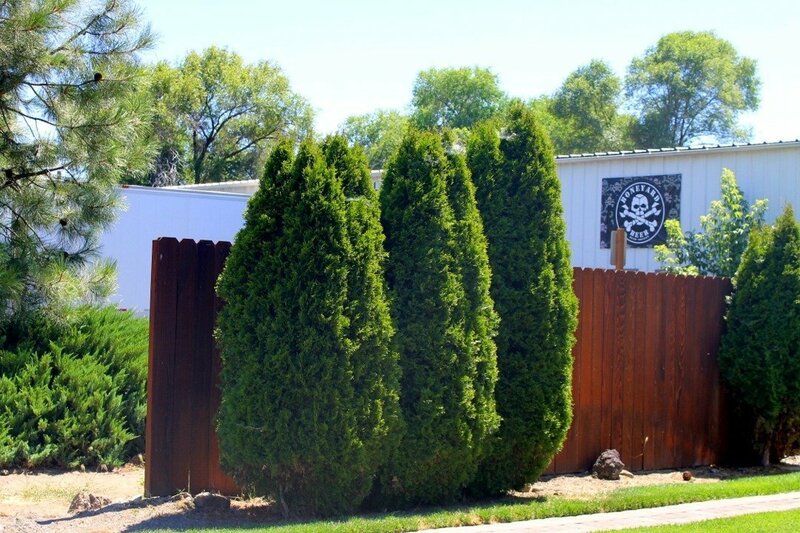 Tucked away in a nondescript slightly industrial yet residential area, Boneyard is all about that bass…I mean beer. 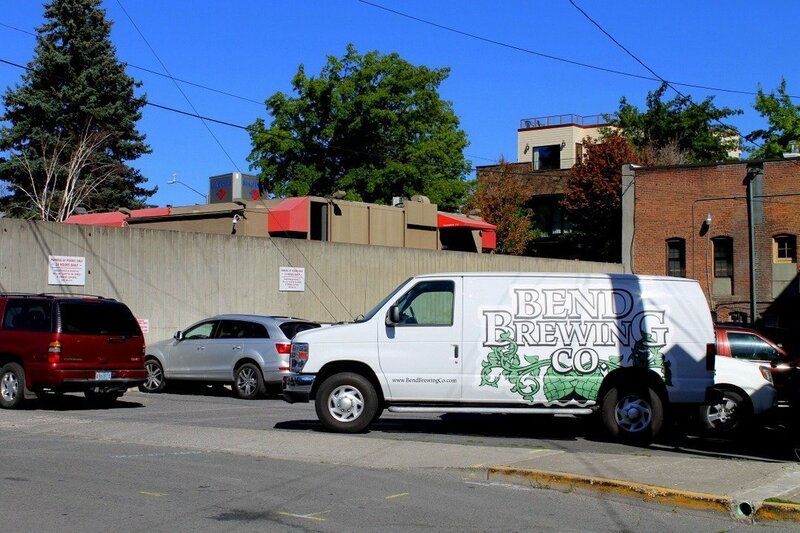 And for good reason, they were up there with my favorite breweries in Bend. They have the cool craft beer swag style, also known as metalhead motorcycle enthusiasts. But hey, I felt badass just being in the tasting room with the tough-looking (but very friendly!) staff and paraphernalia. 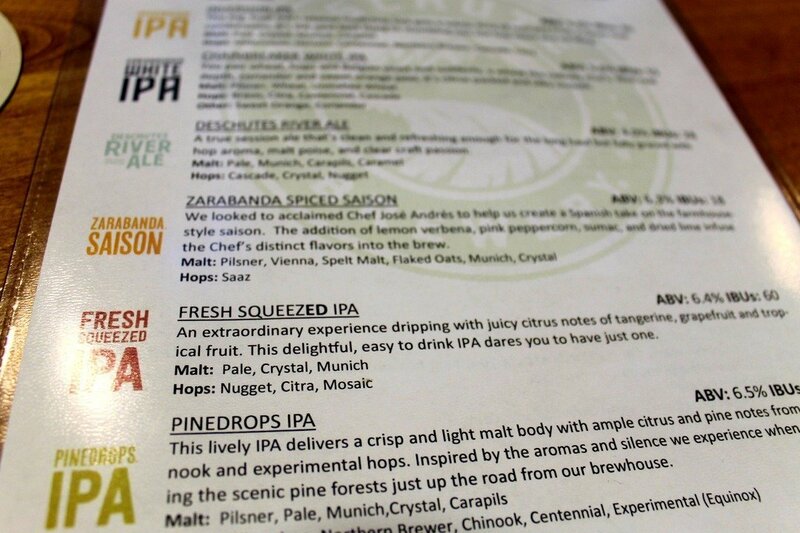 They’re definitely about the IPAs and they make very good quality and tasty beer that usually has a whole lotta hops. Also, they may just have the cutest tasting glasses I have ever seen, and their tasting deal is super cheap, so get on it! Just a note, it’s a tasting bar and as I said, truly only about the beer. There’s no food, I don’t think there were even places to sit. 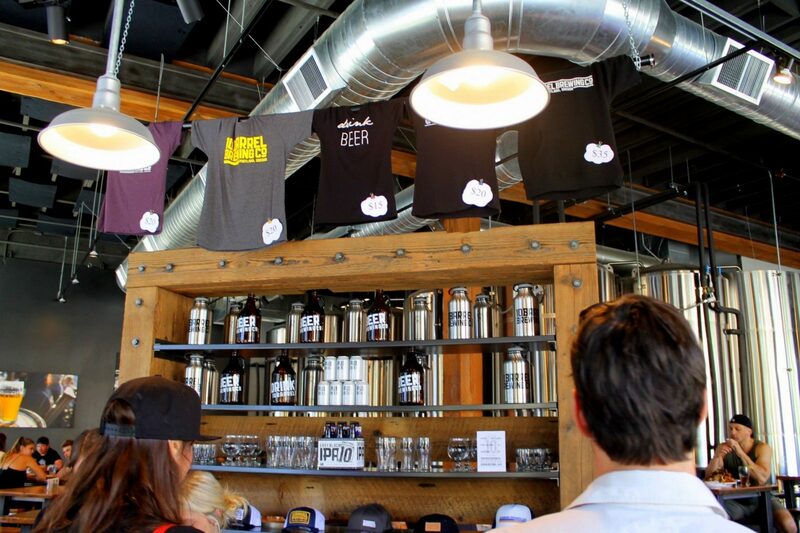 You just stand at the tiny tasting bar and leave once you’ve had your fill, or you’ve filled up your growler. This was an awesome little spot that was hard to find off a dead end road. 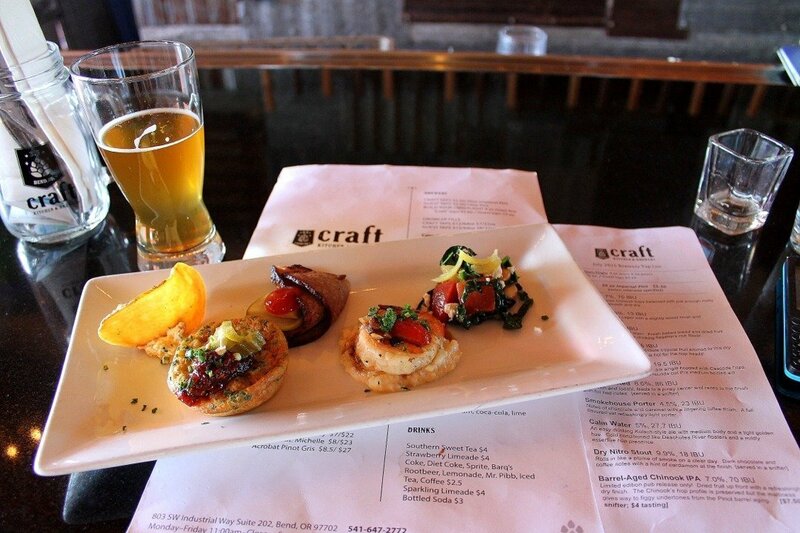 Once you find it though, Crux Fermentation Project has it all: good beer, good food, good service. 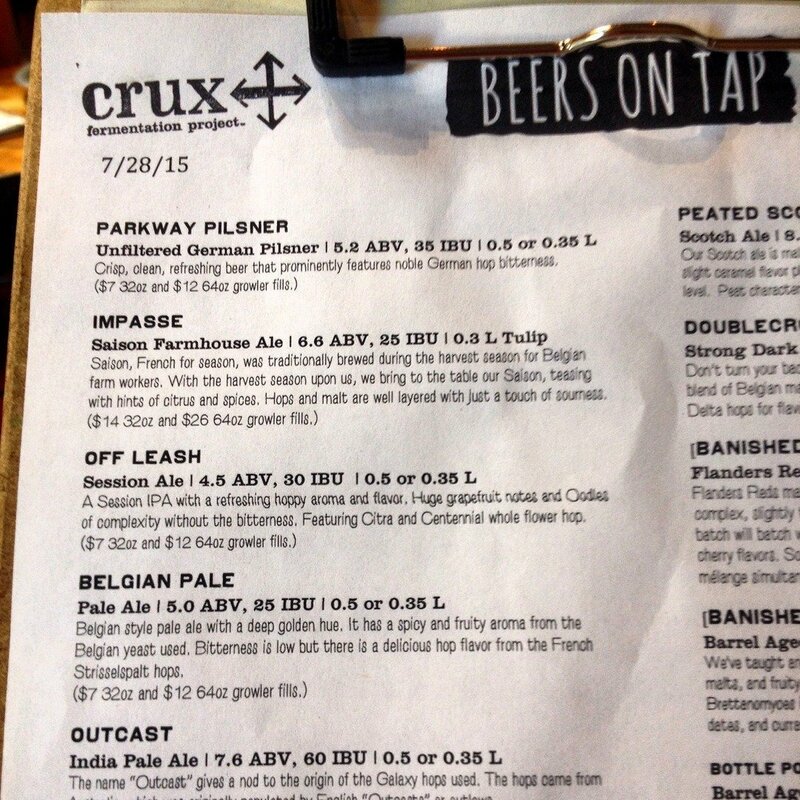 In a beer hall style atmosphere, Crux has a lot of interesting and tasty beers from which to choose. 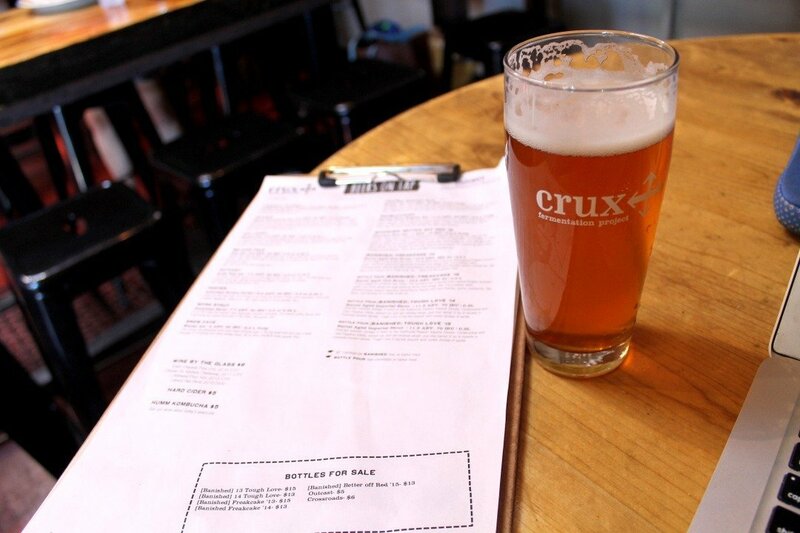 It’s one of those breweries that if you’re in a bar and you can’t decide what to get and Crux is on tap, you can count on them to provide you with good beer. They brew everything from Farmhouse Ales, to Flanders Red Ales, to unfiltered German Pilsners, to Marzen Biers and the traditional pale ales. They definitely leaned towards a German feel and German style beers, at least from what I noticed. 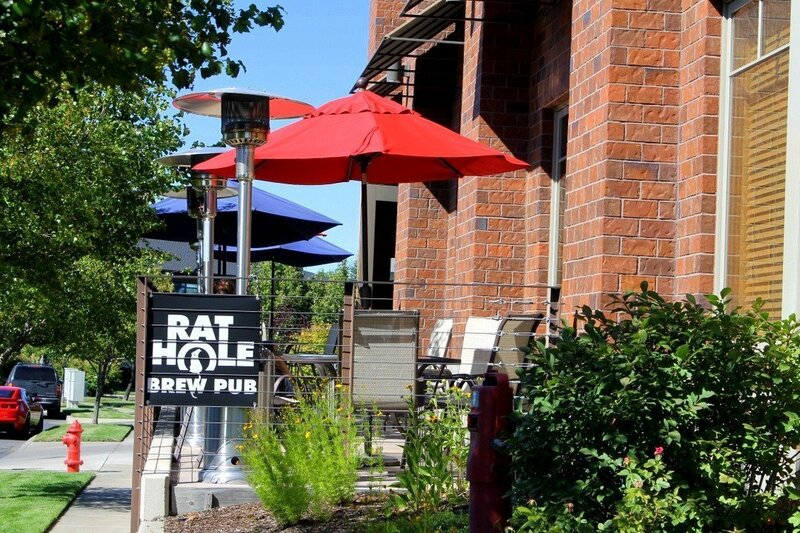 Rat Hole Brew Pub is aptly named for it’s interesting location in a business park near the historic Old Mill District. This is one of those breweries that had great service but fairly mediocre beer and food. 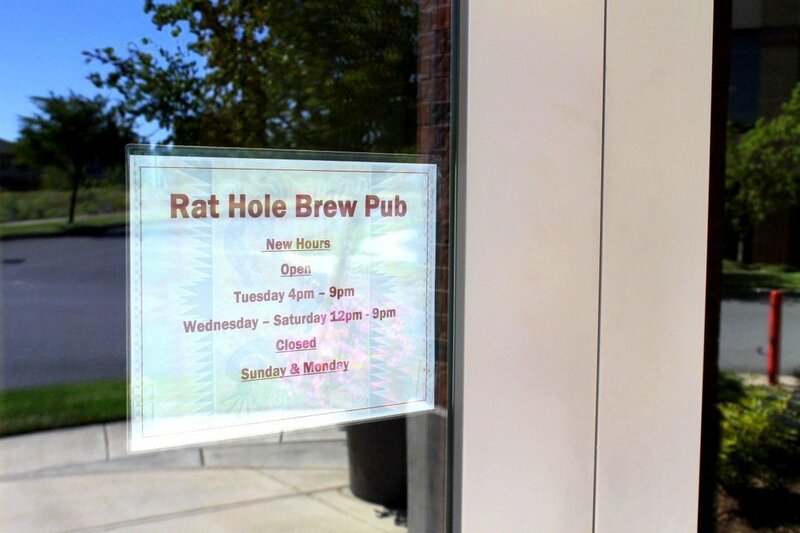 Perhaps if it was located somewhere else it would come off differently, but being in the middle of Bend’s phenomenal beer culture, Rat Hole simply didn’t stand out to me in any way. One aspect I did like about the place was the it felt like all the staff were family, they were constantly joking and laughing with each other, and it made it a fun atmosphere to hang out in. If you have time to hit a bunch of breweries in Bend I would stop in here, but if you don’t have much time, I would give this one a miss. Also, they brew really high alcohol beer, so I could only have a taster as I was driving. It was a bummer, they didn’t offer anything in the sessional range or even 5%-6%. The new kid on the block, Craft Kitchen & Brewery only opened its doors this summer and it blew me away in a lot of aspects. 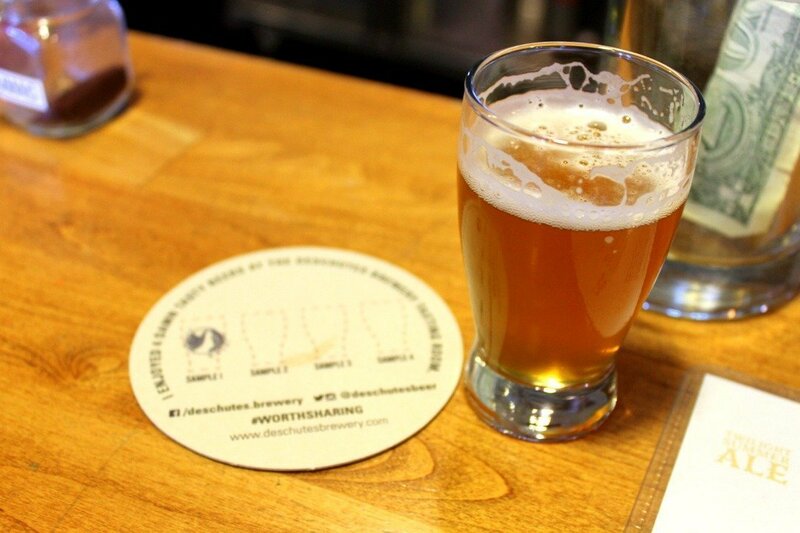 This place equally focuses on their beer and food, so it’s not only for the craft beer lover but the trendy foodie as well. I met the owner, Jon, while I was there, and between him and the bartender, Ashley, they made up the best service I experienced in Bend, hands down. Jon made me up a little tasting platter of some of their dishes while I was there, so I could experience the food even though I was incredibly full when I arrived. The food is a soul/southern food fusion, and I was really impressed by the unique and delicious fare. My favorites were the brisket, roasted beets, shrimp & grits, and the heavenly cornbread Johnny Cakes. Who am I kidding, it was all fantastic. Oh and the beer, I almost forgot about the beer I was daydreaming too much about the food. 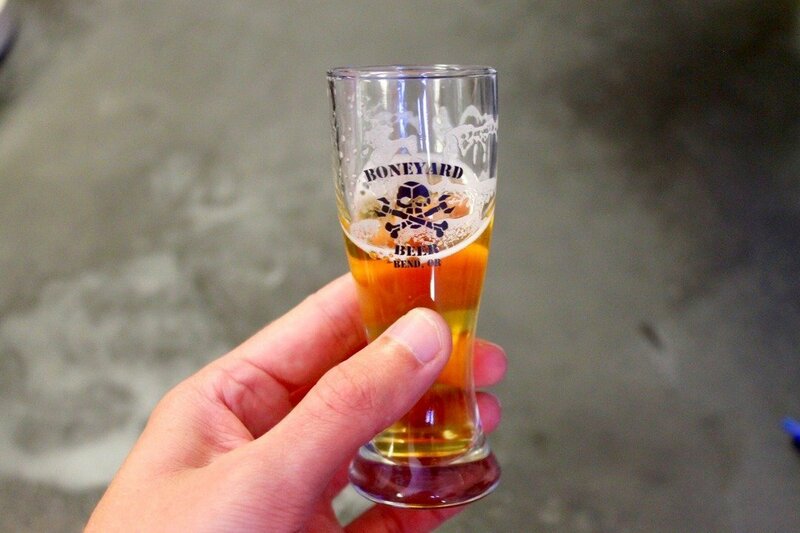 The beer is brewed only in small batches so they have the freedom to experiment. The one beer I was really impressed with was the bourbon barrel-aged ale they had on tap. One of the best bourbon-barrel aged beers I’ve tried, I hope they do it again someday! The only thing I didn’t like about this place was that they don’t bottle so I can’t enjoy their beers in Portland. 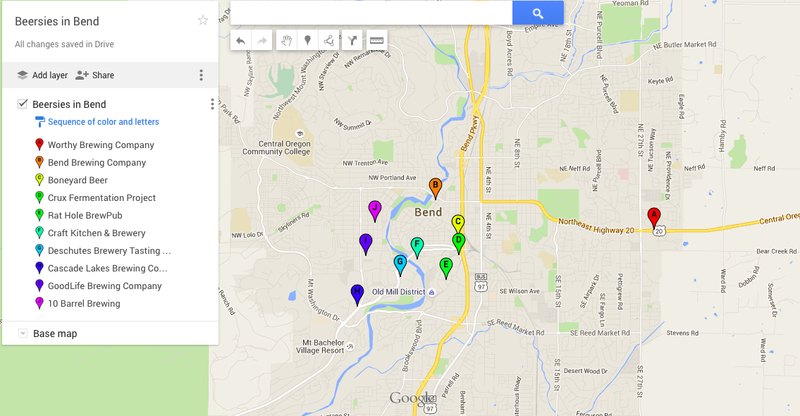 Damn, looks like I’ll have to make another road trip to Bend soon! The big name in brewing around Oregon, Deschutes produces beer-friendly intelligent bartenders, and good quality beer in large quantities. 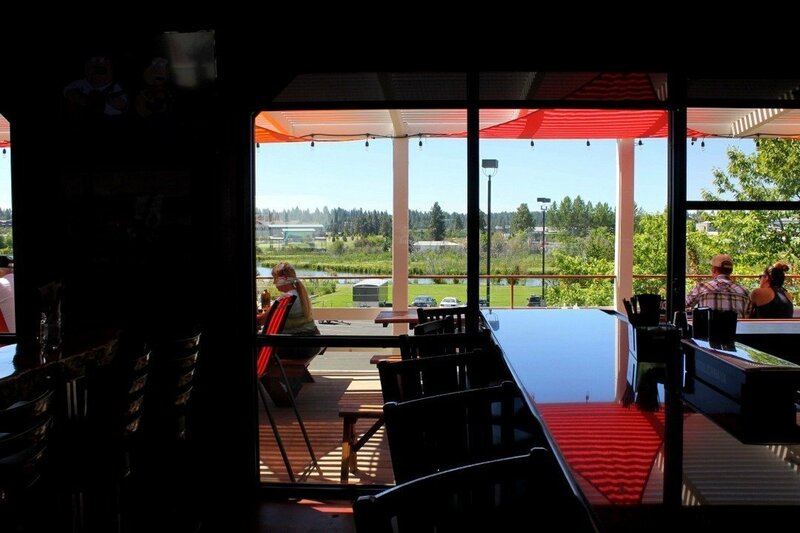 There are two locations for Deschutes in Bend, the bar and the actual brewery and tasting room. 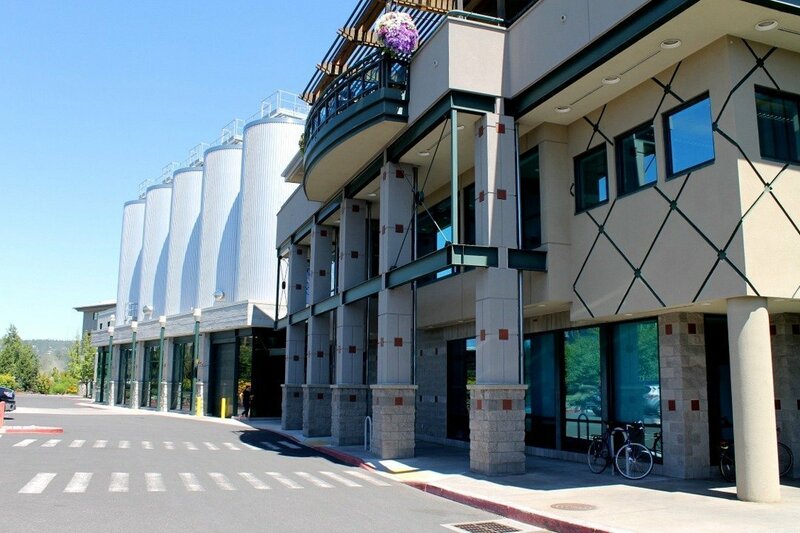 I went to the brewery and tasting room, just down the street from Craft Kitchen & Brewery, and it is reminiscent of how Stone Brewing feels as you walk in, a big production that goes with a big brewery – without the rock garden. Even with the large brewing facility (which you can take a free tour of if you sign up ahead of time! ), the bartenders in the tasting room were personable, opinionated (in a good way), and knowledgeable about the Deschutes beer. I also appreciated that all of the bartenders were female while I was there. 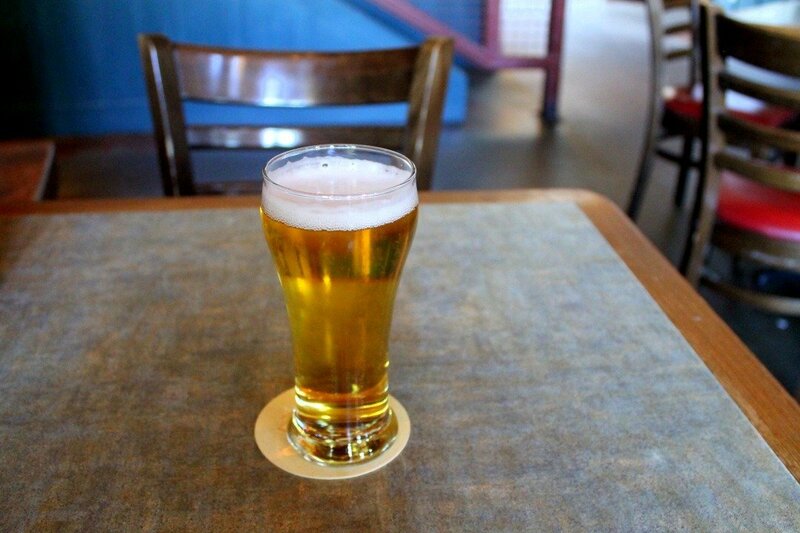 Cheers to more women in the craft beer industry! The coolest part about going to Deschutes Brewery is the fact that you get up to 4 free tasters a day. That’s right, no matter how many times a month you go, you’ll always get 4 free tasters a day. There are no strings attached, just free beer. If you buy one more taster and make it 5, you’ll even get a free pint. I’ve never found a better deal at a brewery. I went there, tried 4 different beers, and didn’t pay a dime besides the tip. 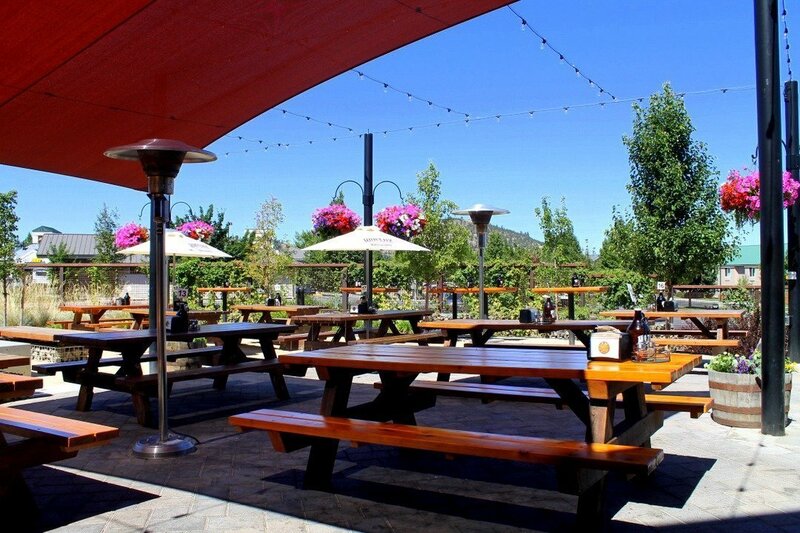 What a disappointing visit I had at Cascade Lakes Brewing Co., and unfortunately it was my last stop in Bend. I don’t know if it was just an off day at the brewery, but it was such a weird atmosphere from the moment I walked in. Part of it may be that it’s a very “locals” type bar, but from the woman manager I first met in the lobby who was awkward and a tad rude when I asked if I could just seat myself for a drink, to the subpar beer and slightly inhospitable locals, it’s not a place I would recommend visiting unless you’re trying to hit every brewery in Bend. The only positive experience I had was my bartender who was actually quite friendly in helping me choose the beer I was after, even though she didn’t seem all that knowledgable about the product. I was recommended this brewery from the guy behind the bar at Boneyard. I wish I would’ve made it here, I tried my hardest to find it, but after getting lost a couple of times, I just went to Cascade Lakes Brewing before heading back to Portland. The guy at Boneyard definitely knew his beer, next time I’m in town, this is the first place I’ll be stopping in at. 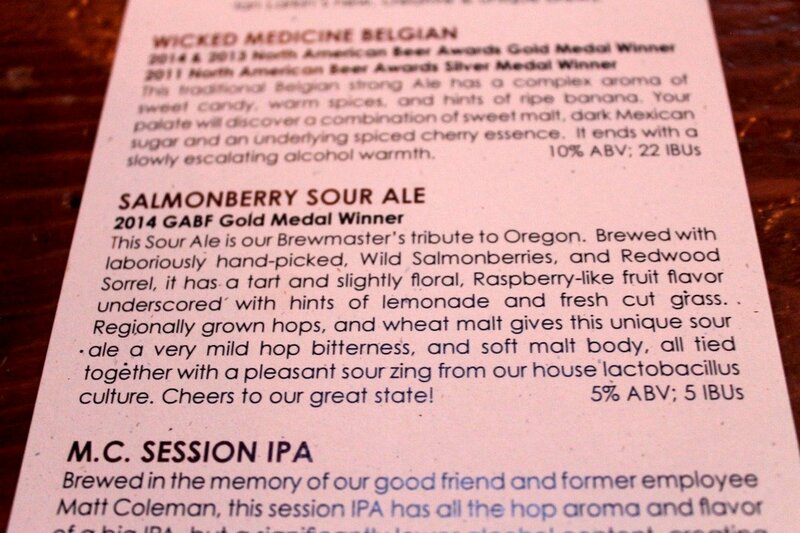 Least Favorite Brewery: Cascade Lakes Brewing Co. 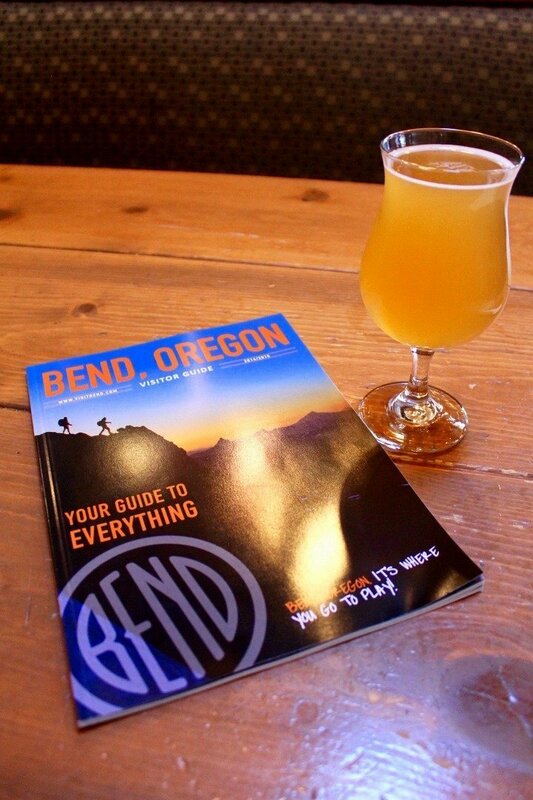 I had a busy 3 days in Bend and such a great time going to all of these breweries, hopefully my experience can help you in your own beer journey and give you some ideas on how to drink your way through Bend! Are there any breweries I missed that you would recommend me checking out the next time I’m in town?